Our hall is currently unavailable for any private bookings. Whitby Masonic Centre for your next function. Consider our hall for your business meeting or special event. Bookings are available for weekday meetings, weekend birthday parties, wedding celebrations and receptions, wedding/baby showers and team fundraisers. Our facilities can accommodate up to 125 people. A kitchen is available as a courtesy for food warming and service. All meals must be prepared off-site. We provide 60 inch round, 8ft rectangle tables and "Padded" Cloth chairs. The lights in the hall are adjustable and can be set to create any mood. We have plenty of on site parking available. 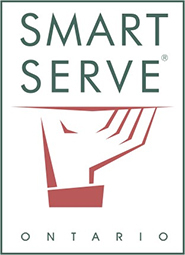 "SMART SERVE TRAINED" Centre staff. Certain conditions may apply. Please contact us for detailed information. PLEASE NOTE, currently our facility is not accessible for those with special needs. We are working hard to address this issue.